On Sept. 11, 2018, the West Chester County Health Department conducted mosquito spraying in the areas surrounding West Chester University The treatment is in response to the reported levels of West Nile virus found in mosquito samples in the area, according to the county health department notification sent out by Zebulun Davenport, the vice president of Student Affairs at West Chester University. The report states that DeltaGard is the pesticide used for the spraying, which is approved by the Environmental Protection Agency. The notice advises those with sensitivities to pesticides to stay in doors, and have reportedly notified those with registered sensitivities ahead of the spraying date. DeltaGard has been registered with the Environmental Protection Agency (EPA) since 1996. In 2018, it was registered under the Federal Insecticide, Fungicide and Rodenticide Act. The active ingredient in DeltaGard is a chemical known as deltamethrine. There are no reported harmful effects on human beings according to the EPA or the West Chester County Health Department, but deltamethrine has been known to hurt local bee populations in Chester county. A study published in the Journal of the Federation of American Societies for Experimental Biology which suggests “modifiable environmental factors”, such as deltamethrine, link to the onset of ADHD in addition to the genetic components of the disorder. Features reminiscent of ADHD, such as inattentiveness, impulsivity, and deficits in working memory and attention were found in mice exposed to the deltamethrine. Children aged six to fifteen with detectable levels of prethyroid metabolites from deltamethrine exposure were found to be over twice as likely to be diagnosed with ADHD. According to Denise Polk, a member of the borough council and a professor of Communication Studies at West Chester University, described the borough’s decision in voting against the spraying of pesticides in the area. According to Polk, “most parties don’t complain” about the spraying in the county; however, the county must spray by law. The borough advises residents to not leave any standing water outside their homes, including something as small as a soda cap of water, which Polk describes as being capable of breeding thousands of larvae alone. Push back against the spraying of pesticides has occurred in conjunction with the group DontSprayMe, which have vocalized their dislike of the spraying. In response, Polk claims that the county doubled the allowable vector index for examining West Nile Virus in the county, meaning that they decided upon a higher average of infected mosquitos necessary to make a decision to spray the insecticide. .
“We can’t demand that the county not spray in agreement with the state,” Polk said. The council instead voted to delay the spraying until September 12 in agreement with the pesticide vendor. She claims residents were unhappy with the delay, and were unable to stand outside due to the high volume of mosquitos. The DontSprayMe organization, which serves as a branch of the Chester county Sierra club, has been vocal about their stance against the mosquito spraying in the area. Margaret Hudgings and Nathanial Smith are the founders of the organization in partner with the Sierra Club in Chester county, an environmental protection group in the local area. Among many other aspects of the uses of pesticides in Chester county, they have been looking into the issue of mosquitoes breeding in storm drains. The Sierra Club received a grant through West Chester University to evaluate the storm drains in the county. Many of them, as described by Hudgings, had standing water in them, which serve as breeding grounds for mosquitoes. In an interview with O’B Lang from the West Chester borough office, a reported 32 miles of storm drains currently exist in chester county. “Of course we’re going to have mosquitoes in there,” Margaret said. “But the question is, what to do about it? Cities like Alexandria in Virginia use larvaecide” Margaret described larvaecide as only damaging to black fly and mosquitoe larvae. It can be dropped into storm drains for the larvae to eat, which will kill them off and prevent them from becoming adult mosquitoes. “It is not a neurotoxin,” she said. “They never become a nuisance to people.” They asked the Chester County Health Department for the reason they weren’t using larvaecide, and were told the department was “too busy” to provide the information. The department has only used larvaecide 10 times in the county in four years. The last time it was used was June 5th, 2015 according to Hudgings. Hudgings and Smith started a petition through the Sierra Club that gained 400 signatures against the actions of spraying by the borough back in 2015. At their public meeting where the borough council voted against the spraying measures, a voice vote showed that only one person in the room wanted to be sprayed among 50-60 people did not want to be sprayed with the pesticide. But the issue the Sierra club and DontSprayMe takes resides in the spraying in the public area, such as alleys and streets, that reaches private property without resident consent. They described the half-life of the pesticide as having very vague and unclear information as to how long it will persist when it enters the soil and the air. Hudgins reports only seeing one sign notifying residents of the spraying when they were going to spray, and then didn’t. 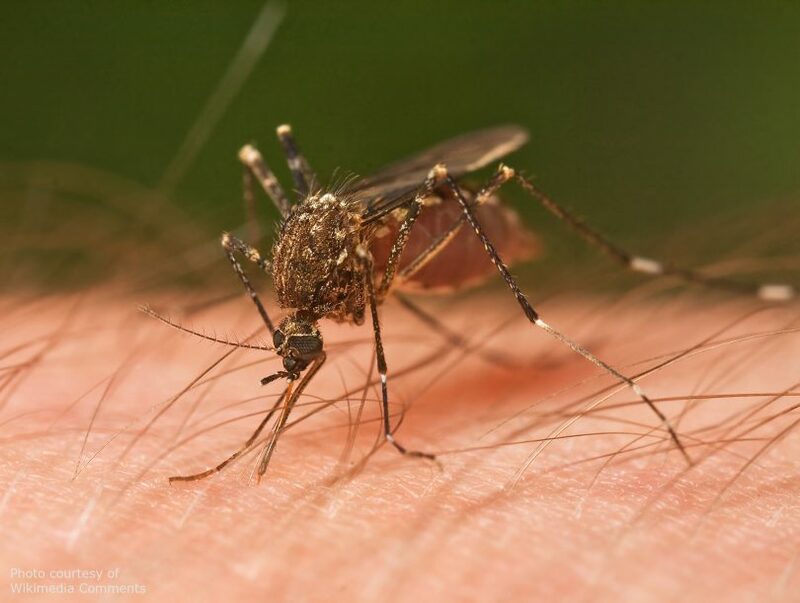 According to Smith, nobody has contracted the West Nile virus in the 18 years since the disease was reported being carried in Chester county by the mosquitoes 18 years ago. “There have been parts of the country where its been more serious,” Smith noted. “Almost all cases of West Nile have been very mild.” He emphasized wanting somebody in the college of health sciences to study to see if residents may already be immune to the virus. “It just seems questionable to us that you would spray an entire population that’s already immune,” Hudgings said. The Sierra club and DontSprayMe currently have contacts in similar groups to DontSprayMe, branching out to a dozen counties including Phoenixville, West Bradford, West Goshen, and Downingtown with over 116 block captains that spread information to residents in the area. For more information on the Sierra club, students can visit https://www.sierraclub.org/pennsylvania/southeastern/chester-county. DontSprayMe can be found at https://dontsprayme.com/. Sam Walsh is a third-year student majoring in special education and English with a minor in Autism studies. ER821804@wcupa.edu.